"When a train goes through a tunnel and it gets dark, you don't jump off. You sit still and trust the engineer." Season of BRAVE for Get Messy Art Journal kept me busy trying out new techniques. I even used q-tips as drawing tools! I loved the washi tape tutorial and made letters B R A V E for my little zine. I've made a few page. Here is a little zine I made for week 2. 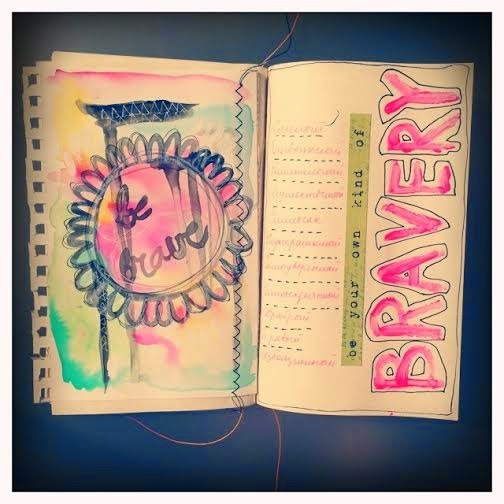 I put quotations of women who I think to be brave. For week 3 I made a collage with no colours which is not very typical for me. I love your zine cover and the rats!! The collages.... (be still my beating heart) <3 !!!! 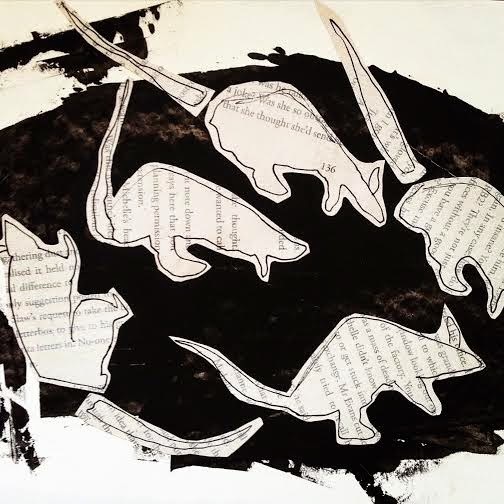 Love the strong rats visual of your collage for this and that your zine is held together with a clip - so you can keep adding to it! I love your black and white collage. Really striking!